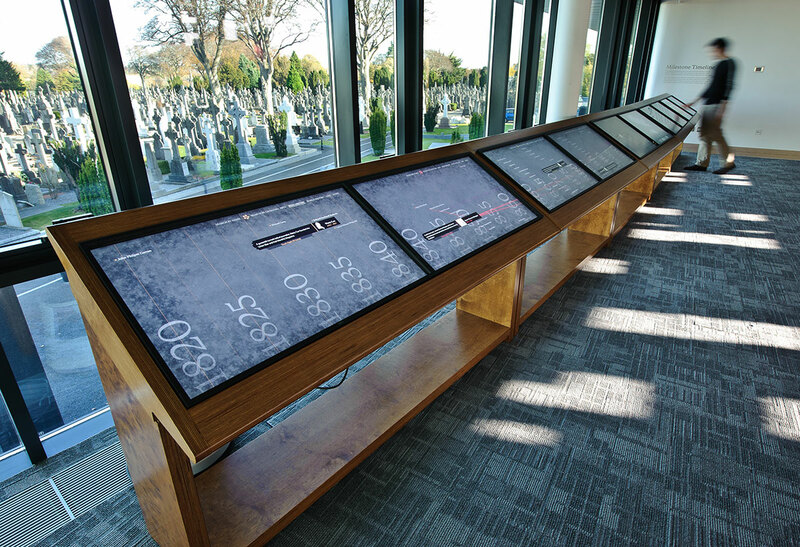 A ten metre long interactive timeline was designed for Glasnevin Cemetery museum in 2009. 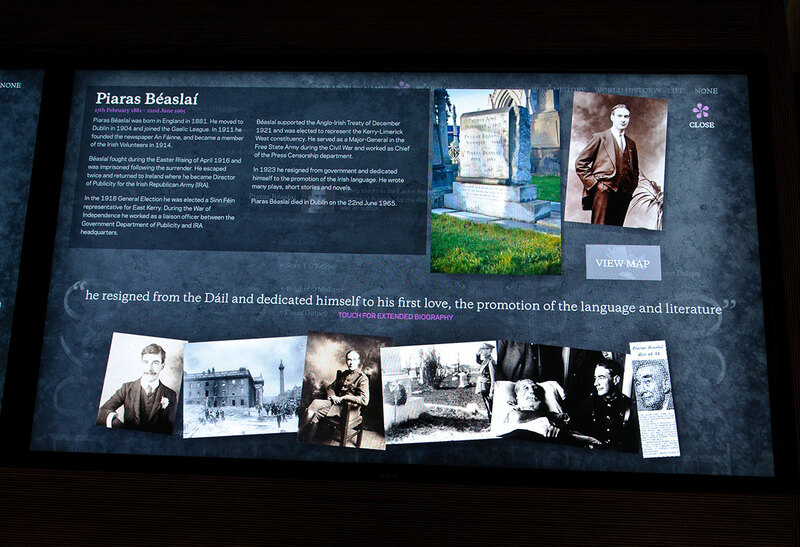 The interactive screens allow you to browse through a selection of 200 people. 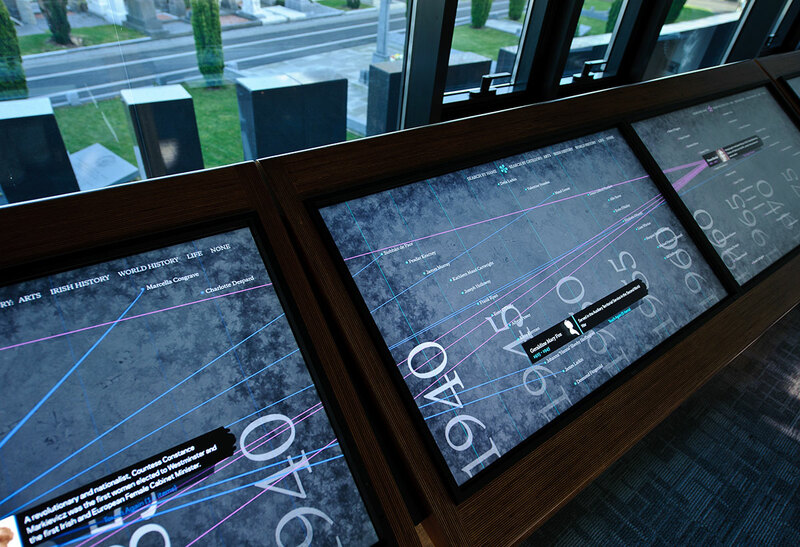 Selecting their names shows connections to other people across the timeline. Multiple layering gives you a snippet about each person before you delve deeper into a short bio and a selection of images. The final layer allows you to read a full biography of the person of interest.